Over time basement walls fail or begin to bow. And generally, by the time you've noticed bowing in your basement walls, the structural defect has been present for some time. The most common cause of bowing walls is hydrostatic pressure. This type of pressure takes place when exterior water presses against the foundation wall, causing excessive force and eventually leading to the failure and bowing of the wall. Walls can also begin to bow from soil expansion, contraction, settling, and landscaping interference. 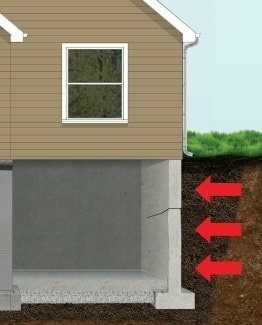 As moisture levels in the soil around your home's foundation increase or decrease, the soil moves, leaving areas of your home's foundation exposed. This will cause problems such as bowing walls, sinking floors, and leaning chimneys. Dealing with foundation settlement is a part of owning a home, but it also poses dangers. Although settling is to be expected, it is not something that you should ignore. It won't get better and the problems won't go away. Jerry's Waterproofing offers several foundation repair solutions designed to repair bowing walls. ECP helical piers are the #1 ideal solution. Helical piers are often partnered with helical brackets to add to the strength of the pier. Helical piers can be used in commercial and residential structures. 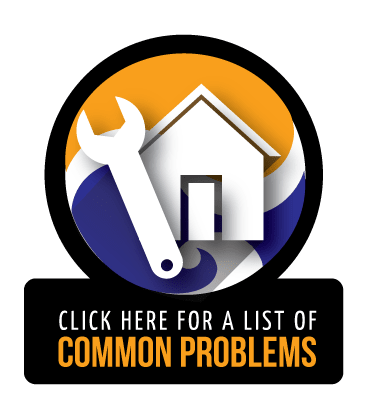 Most commonly they are installed for light foundation repair, including bowing and leaning structure walls. No matter the cause of your bowed walls, Jerry's Waterproofing professionals can help. One of our professional foundation repair contractors will take time evaluating your home's foundation, both interior and exterior, looking for all the signs of foundation failure. We will then work with you to permanently repair your foundation. Contact us today to learn more. 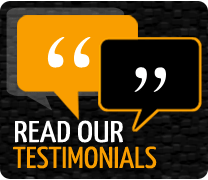 Click here to see if carbon fiber might be the right solution for your bowed walls.